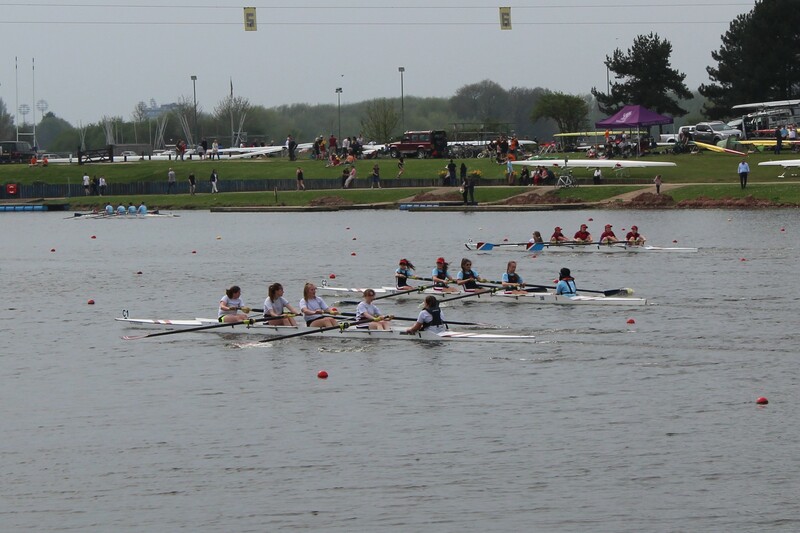 On Saturday 21 April, Gravesend RC took one crew to the Junior Inter Regional Regatta, held at the National Water Sports Centre in Nottingham. 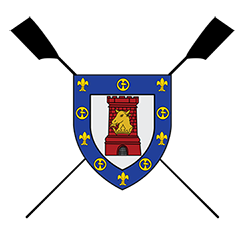 The girls’ J15 four was only entered as a result of no other crew being available in the region, and the crew themselves will admit their hopes were not high, having only started sweep rowing a few weeks before the race. An ill-timed crab in the opening metres of the heats saw our girls start the final in last place, but a strong row saw them overtake one crew, and gain down on the next – missing out on third place in the B final by only a few metres, and taking 15 seconds off their previous time. Given this was only their third outing as a full crew, we’re mighty impressed! 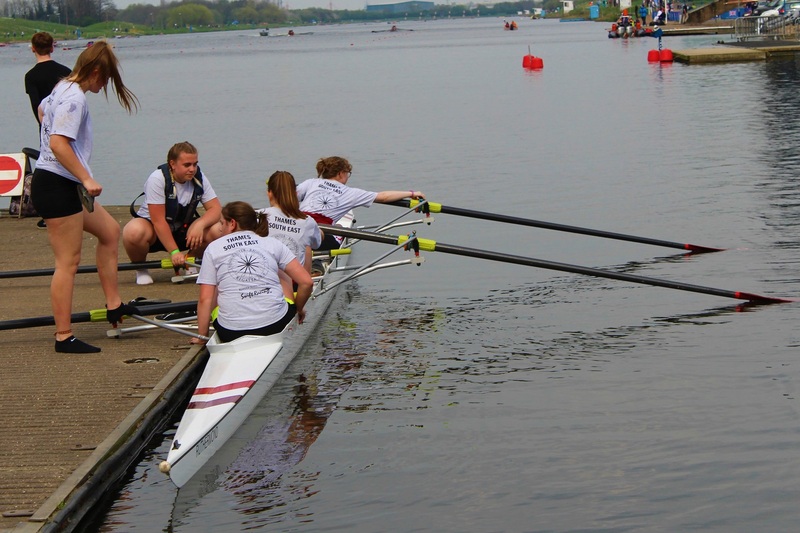 Well done girls, and thank you to the coach and parents who drove to Nottingham and back to cheer them on – and thanks to Maidstone Invicta RC for towing our boat all that way too!